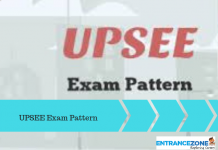 UPSEE 2019 Answer Key has been released on 21 April 2019. State Entrance Examination official dates are released by Dr A.P.J. Abdul Kalam Technical University, Uttar Pradesh (Formerly U.P. Technical University, Lucknow). Also, the UPSEE 2019 official website is now in working status and UPSEE application form can be filled from 23 January 2019. Furthermore, the last date for online application form is 25 March 2019(Extended). Candidates who wish to appear for the examination must visit the website and register themselves now. UPSEE is a state level examination organised for students seeking admission in the 1st year of Bachelor in Technology (B.Tech), Architecture (B.Arch), Pharmaceutical (B.Pharma), BHMCT, BFAD, BFA as well as Masters in Business Administration (MBA), Master of Computer Application(MCA), Masters in Applied Management (MAM) and also for admission into 2nd year of Bachelor of Technology (B.Tech lateral entry), Pharmaceutical (B.Pharm. ), and Computer Application (MCA). This entrance exam is organised to get admission in all the Technical Institutions as well as Colleges which are affiliated to the AKTU, Lucknow India. UPSEE 2019 Entrance exam for undergraduate B.Tech programs has been scheduled on 21 April 2019. Applicants interested can check all the important and latest topics related to the examination on this page. The updated details and notices are available on the University’s official website as well. On this page, we have provided all the details that the applicant must be aware of before applying for the UPSEE exam. The Online Application for UPSEE 2019 is available from 23 January 2019. UPSEE Exam will be conducted on 21 April 2019. Fee Waiver seats are available for economically weaker candidates. No Tuition Fee waiver is available for B.arch courses. Uttar Pradesh State Entrance Examination is conducted by AKTU. The latest update for Uttar Pradesh State Entrance Examination is as follows. UPSEE 2019 Answer Key has been released on 21 April 2019. Click here> Answer Key. 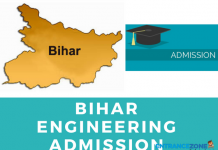 The admit card of UPSEE 2019 has been released. Click here> Admit Card. The application form last date of UPSEE 2019 has been extended till 25 March 2019. Click here> Application Form. Details about the upcoming JEE Main 2nd exam by NTA here. The examination dates are announced by AKTU. Find all the major dates relevant to UP entrance exam below. These are important events related to UP State Entrance Exam. UPSEE 2019 answer key has been released on 21 April 2019. It will be released course-wise on different dates. Candidates can check the answer key online. Answer key helps the candidates to get an idea of their scoring marks. Log on to the official website of UPSEE. Select the Paper code & Answer key. The answer key will open on the screen in PDF format. Candidates can download or print the Answer key. However, the candidate can get his/her answer sheets scrutinised on payment of Rs. 5000/- per paper within seven days of the declaration of result. The application for scrutiny can be submitted to the Registrar, Dr. A.P.J. Abdul Kalam Technical University Uttar Pradesh, Lucknow (U.P.) 226031 in writing. All the Registered candidates can download their Admit card from the official website of the University. UPSEE 2019 Admit card will be issued from 15 April 2019 till the date of examination. There is no process to send Admit card by post. Applicants must secure their Admit card for the counselling and admission process. Without Admit card, candidates will not be permitted to enter the Examination centre. How to Download the UPSEE Admit Card 2019? The process to download the admit card is very simple and is given below. Follow the steps and make sure to keep the admit card safe for future references. Go to the official website of UPSEE 2019. The link for the same is given below. Click on the link saying “Admit Card Download“. A PDF of the same will open in front of the aspirant. Download the PDF and save it for the future. Check the admit card properly. If any mistake is found, the aspirant must contact the UPSEE 2019 official website immediately. If the mistake is not rectified the aspirant will not be permitted to enter the exam hall. An admit card is one of the most important documents for a candidate which is to be carried to the exam hall and the counselling sessions. The candidate must also carry a photo Id proof like an Aadhar Card to the centre. Eligible Applicants can fill the Application form from 02:00 pm on 23 January 2019 by registering themselves on the official AKTU portal. They will have to fill the application form of UPSEE 2019 before the due date which is 25 March 2019 by 05:00 pm. Applicants need to visit the official UPSEE website, to enrol themselves online. Male, Transgender, General & OBC category should pay the required fee of Rs. 1300/-. The fee of Rs. 650/- is only applicable for Female, Physically challenged applicants, ST and SC candidates. This application fee might be paid either through an E-Bank Challan or Credit/Debit Card. Payments only made by these methods will be acknowledged. After successful payment of UPSEE fee, Applicants need to proceed with the online application process, by giving important and authentic personal, educational and address details on the e-application form. Applicants will be needed to upload a recent copy of passport size photo, signature and address in this e-application. Applicants are recommended to keep multiple copies of the photo of the application form for future use. The applicant needs to qualify the examination 10+2 through Uttar Pradesh board or its equal board with a specific end goal to get admission into the different courses offered by the AKTU. The mandatory Subjects comprises of Physics and Mathematics and any of the subjects from Chemistry, Biotechnology, Biology, and any Technical Vocational subject. Applicants seeking admission in B.Tech. Uttar Pradesh, it is obligatory that they should have passed the intermediate exam of the Uttar Pradesh board or passed the 12th class examination or equivalent exam from a recognised board or university. There is no upper age limit for admission to the courses covered in UPSEE 2019. The applicant must get 45% marks in the General Category. And 5% relaxation is given for SC/ST category so SC and ST applicant must get 40% marks to appear in the exam. Download UPSEE Informarmation Brochure in Hindi and English Here. B.Tech. Successfully qualified 12th exam or equivalent examination with Mathematics and Physics as a mandatory subject and any of the secondary subjects: Biotechnology/Chemistry/Biology/subject. B.Pharm. Successfully qualified 12th exam or equivalent examination with Mathematics and Physics as a mandatory subject and any of the secondary subjects: Biotechnology/Chemistry/Biology subject. B.Arch. Successfully qualified 12th exam or equivalent examination with Mathematics and Physics as a mandatory subject and any of the secondary subjects: Technical/Drawing/Chemistry/Biology/subject. BHMCT/ BFAD/ BFA Pass 12th level or equal examination from any state. MBA Bachelor Degree or its equal and secured 50% marks. For SC/ST percentage has been reduced to 45%. MCA Bachelor Degree or its equal and secured 50% marks. For SC/ST percentage has been reduced to 45%. MAM Must have passed the 12th exam with mathematics at 10+2 or at Graduation level. B.Tech (2nd Year) Bachelor Degree or its equal and secured 45% marks. For SC/ST the percentage has been reduced to 40%. B.Pharm (2nd Year) Certificate holders and B.Sc. Graduates with Mathematics as one of the core subjects in 1st year. MCA (2nd Year) BCA certificate holders. Important Note: Those who are qualified for the admission into the B.Tech courses are also qualified for the B.Tech. Agriculture Engineering. Applicant must prepare for the exam in a well organized and structured manner. To help them achieve this with ease we have made this table. It contains all the important chapter under each subject namely Physics, Chemistry, Mathematics. Language: The Question paper will be issued in English and Hindi language. Marking Scheme: Each right answer will provide 4 marks. Negative Marking: There is no negative marking on the UP Entrance exam. Question Type: Multiple Choice Questions (MCQ). Papers: This exam will be held for 11 papers. Mode: The examination will be organised through Offline (OMR based Test) mode for Paper 1 to 4 and Online (Computer Based Test) for Paper 5-11. Duration: The time duration will be 3 hours (Paper 1, 2 & 3), 2½ hours (Paper 4), 2 hours (Paper 9, 10 & 11) & 1½ hours (Paper 5, 6, 7 & 8). The results for UPSEE 2019 will be declared after the commencement of examination. The date for the result is tentatively given here i.e the last week of May 2019. UPSEE-2019 Result will be declared by Dr. A.P.J. Abdul Kalam Technical University, Uttar Pradesh, Lucknow. How to Check UPSEE Result? Visit the Official UPSEE Website. Click on the link ‘UPSEE 2019 Result’. Enter your Roll number or Date of birth and click on ‘Submit’. Download it and take a printout of the result for future references. A couple of days after the result declaration, the counselling procedure will begin from 10 June 2019 and will continue till 15 July 2019 (tentatively). The qualified candidates will be called, to take part in the UPSEE 2019 counselling procedure. The merit list regarding UPSEE Counselling date and venue will be displayed on the official site. The allocation of the seats through counselling will entirely be based on the availability of the seats and all India merit list. Once the seats will be designated to the candidates, no further changes will be permitted. The spot round counselling will be held during the last week of July. 10th Final Mark sheet and certificate. Diploma certificate (if have any). Bachelor Degree certificate (if have any). 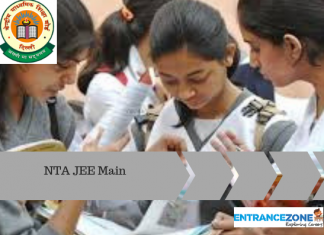 The JEE Main was conducted by CBSE, New Delhi. Candidates seeking admission to premium college like NITs, CFTIs, IIIT and IIT, must opt for JEE Main exam. 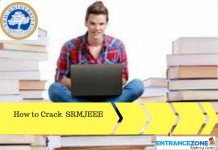 The Joint Entrance Exam is the only gateway to admission into IITs. But now the National Testing Agency (NTA) conducts JEE MAIN. UPSEE 2019 also known as Uttar Pradesh State Entrance Examination as well as UPTU Exam, is regulated by the Abdul Kalam Technical University (AKTU) Lucknow(UP). This University was previously known as Uttar Pradesh Technical University (UPTU). Dr A.P.J. Abdul Kalam Technical University, Uttar Pradesh provides various courses under UG and PG programs. All the courses offered by the university are given below. An aspirant can view them and choose the best for themselves. Note: UPSEE-2019 is being organised for admission into all the Colleges and Technical Institutions, affiliated to the AKTU, Lucknow Uttar Pradesh. Admissions in some of the programs in the other Universities of Uttar Pradesh are also allocated through UPSEE 2019. As per AICTE Notification fee waiver seats for economically weaker meritorious candidates are also available in B.Tech./ B.Pharm./B.HMCT/B.FAD/BFA courses in all institutions affiliated to AKTU, Lucknow. No tuition fee will be charged from the candidates admitted against such seats. The fee waiver seats will be limited to the maximum of 5% of the approved intake in the course and will be over and above of the sanctioned intake. The economically weaker students must submit certificate no. 12 (Income Certificate) at the time of verification of documents. No Tuition fee Waiver seats are available for B.arch courses. The List of Entrance Examination Cities: Click here. Download Information Brochure in English: Click Here. And Download Information Brochure In Hindi: Click Here. Question: How can I correct my details in the Application form? Question: When will the Registration procedure start? Question: Is there negative marking for the wrong question? Stay tuned for UPSEE 2019 at EntranceZone. How many sessional marks are considered for internal semester exam? Is there any negative marking for UPSEE 2019? What documents are necessary for Uptu Counselling? 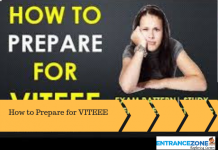 How to prepare for VITEEE 2019 (VIT University Admission Test)?